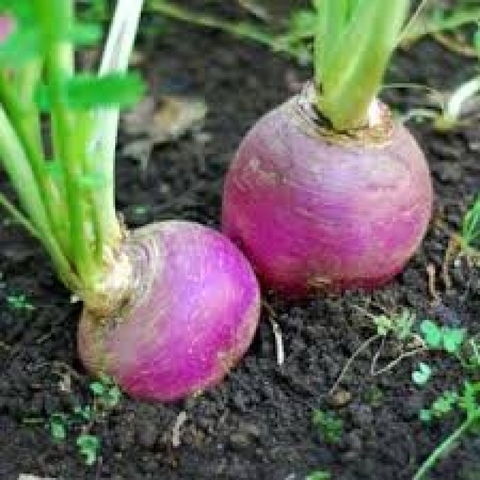 Laurentian has a deep purplish top and smooth root, yellow flesh, large globe shaped roots that are creamy yellow with deep purple crowns. 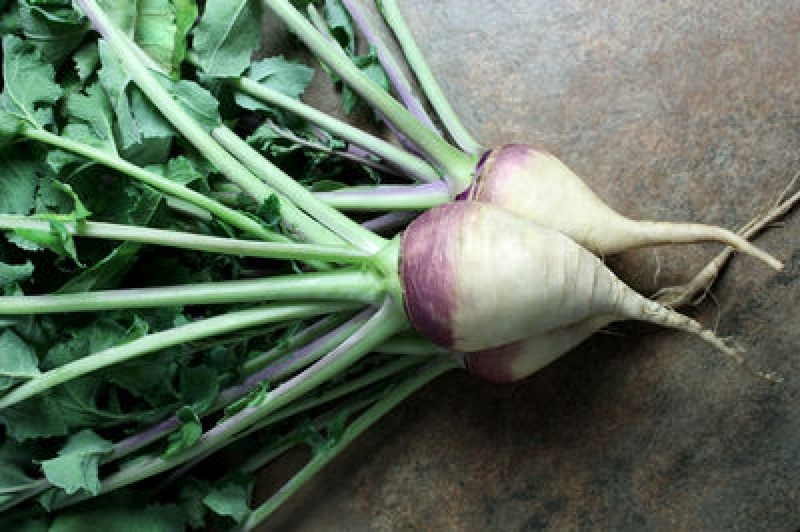 It has upright dark green edible leaves that regrow quickly after cutting. 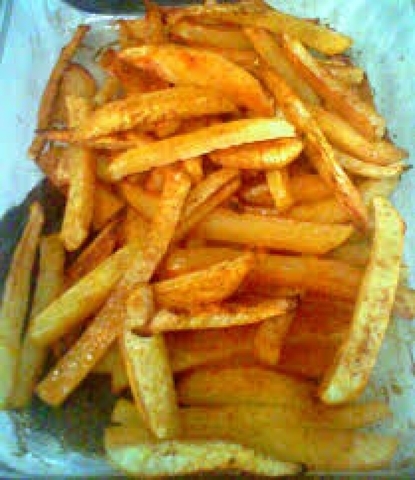 Laurentian has a mild flavor and refined texture and stores well after harvest. Plants mature in about 90-100 days and have good bolt tolerance. It is an excellent choice for fresh market growers and home gardeners.It has A mild tasting and evenly textured flesh, high yields show excellent field holding ability and the prolific tops are also edible. 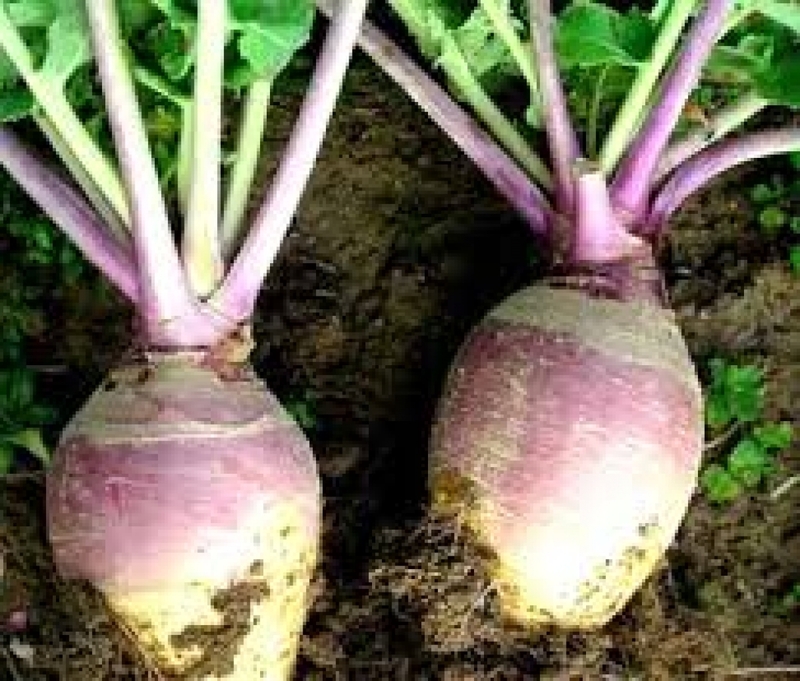 Rutabagas are an excellent source of vitamin C, and a good source of potassium, fiber and vitamin A. Rutabagas are low in calories and are fat free. 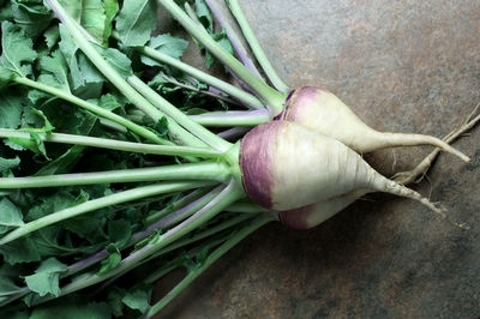 Rutabaga’s sweet, mildly peppery flesh makes great side dishes, tasty in salads, soups, and stews.